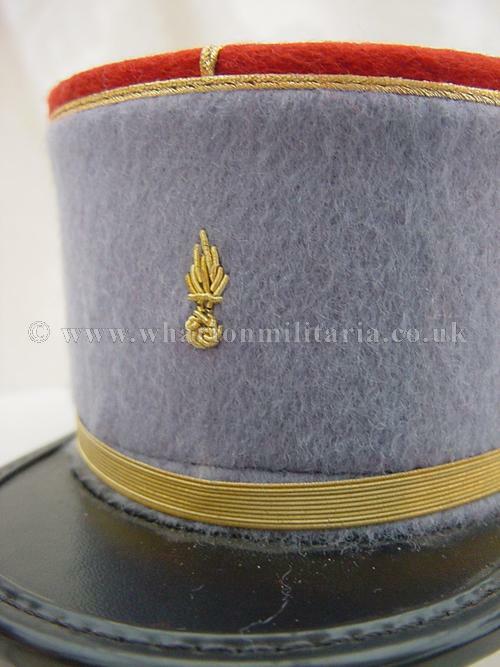 A beautiful miniature French Kepi of the Spahis, traditionally light cavalry regiments, France retains one unit of Spahis as an Armoured Regiment, all the other Spahis regiments were disbanded by the early 1960s. 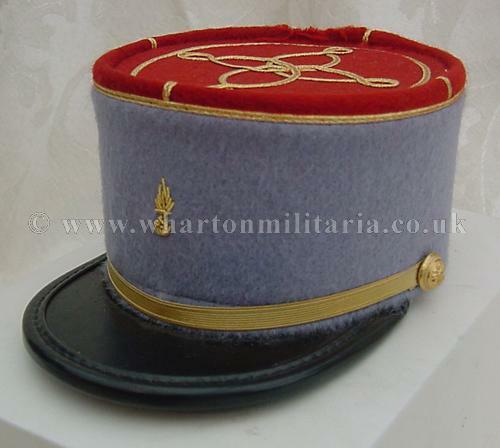 The 1st Régiment de Spahis Marocains remains as the armoured regiment and saw service in the Gulf War. 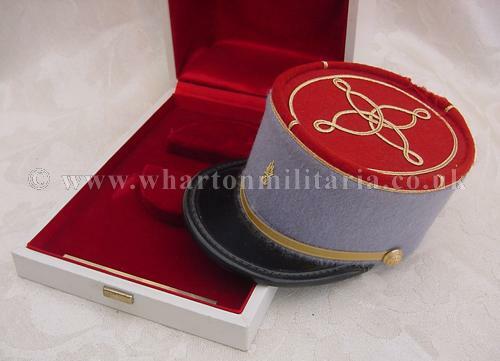 The regiment also maintains the traditions of the entire Spahi corps as it previously existed. 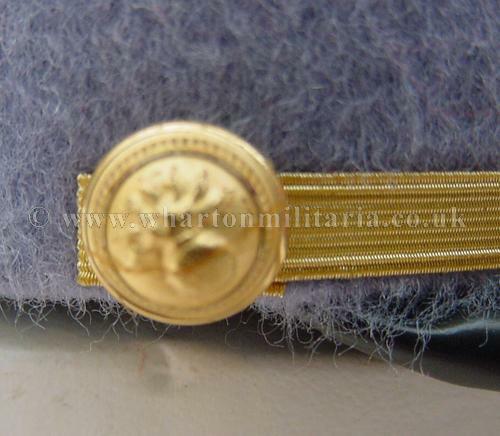 Exceptionally for a French armoured cavalry regiment, it uses gold (and not the usual silver) insignia. 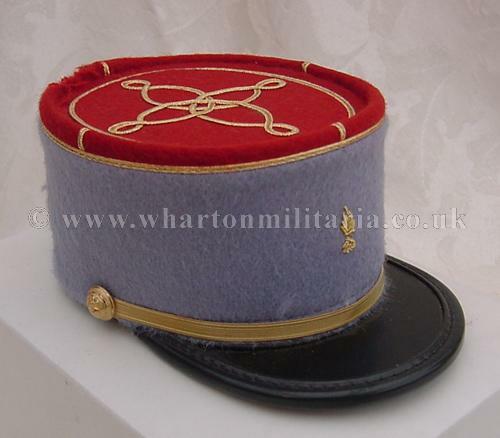 The "Ordonnance du Roi portant organisation de la cavalerie indigène en Algerie" of 7 December 1841 establishing the Spahis as a regular corps of the French Army specifies this distinction for sous-officers, brigadiers and officers both French and indigenous. 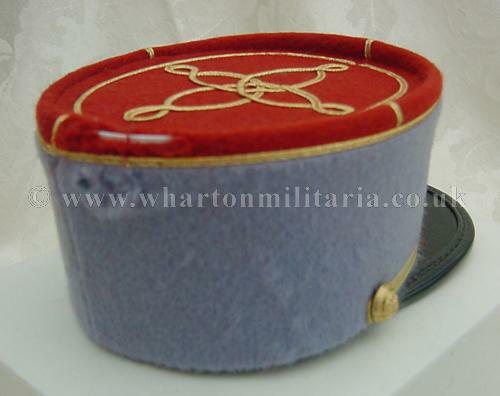 This beautiful presentation kepi was presented to the Royal Tank Regiment in the early 60s by seconded senior Spahis officers following their tour with the RTR. 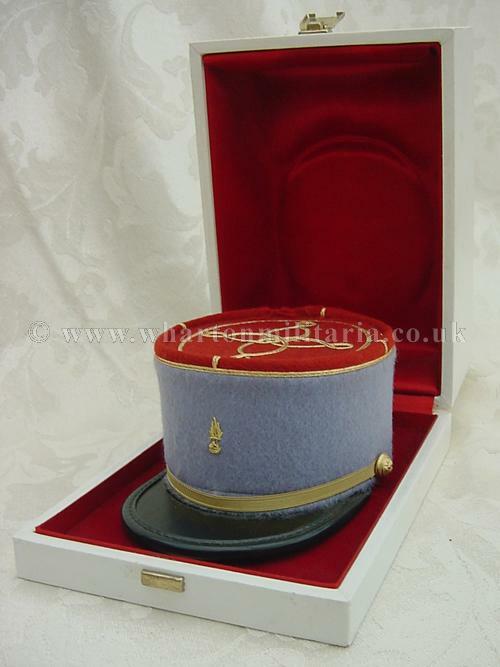 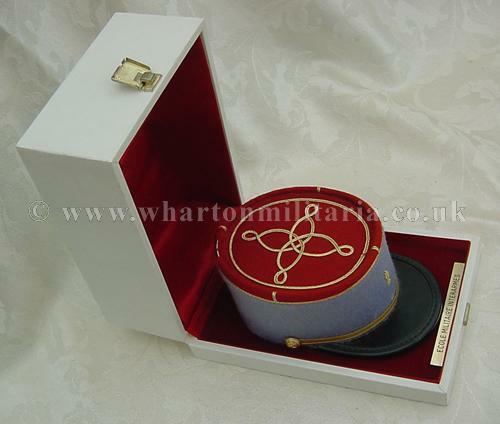 The kepi is about one third scale, finely made and stunningly presented within a purposefully made box. 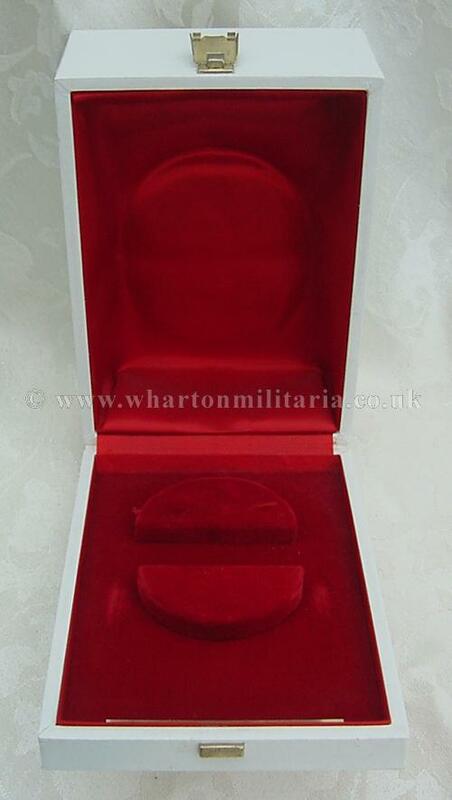 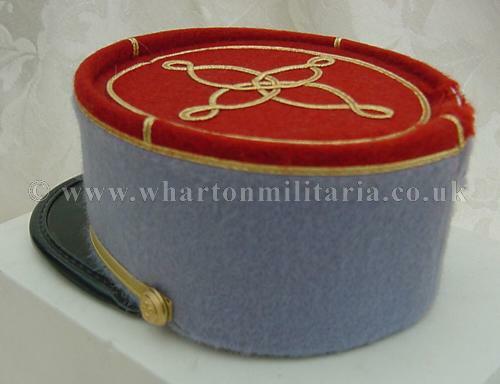 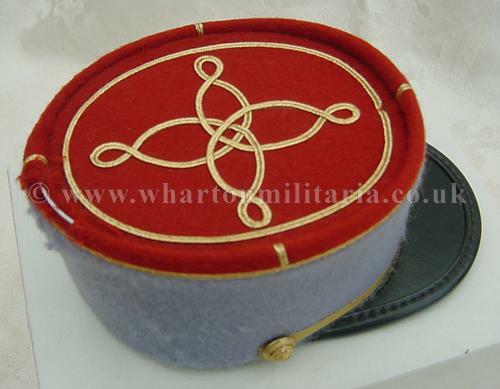 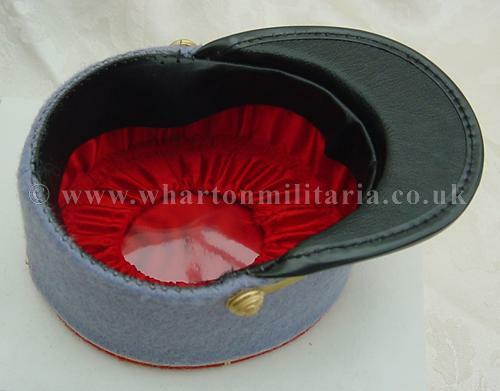 The box has the manufacturer's details 'Ecole Militaire Interames' name plate within the red silk lined front edge. 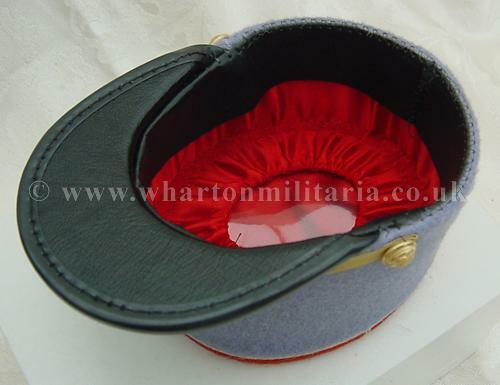 A fine item in excellent condition overall - slight fraying on the rear right edge where the hat top has rubbed or moved against the box inside.